"The 6th installment of the Orbit deck is finally here. This deck was a team effort between the entire Orbit Crew and is our most ambitious design to date. We took the best parts of the V4/V5 and combined them to make the V6. Our shared love of space, aliens, and trees made this design a beautiful harmony of things we love. The new Orbits will have the same crushed premium stock, same matte box, and same traditional cut as the V5's. Things we have updated: New alien Jokers who have abducted Carl and are now riding his bike! New one way design that will be a puzzle to solve. New back design (obviously). We feel that the traditionally cut, crushed premium stock, made on the Web Press, creates the best feeling deck, ever. There are only around five decks out there that have this exact recipe, two of them are Orbits. If you've felt the V4s & V5s then you probably know what we're talking about. Since we have the feel finely tuned, we are spending a lot more of our time on design now. The entire Orbit Crew sat down and spoke about design theory along with what makes playing cards look good up close and from afar. We made more renditions of this edition than all previous back designs combined. We believe we have a formula for what makes a deck aesthetically pleasing. After months of brainstorming we came to this final design. We couldn't be happier and it's our favorite deck to date. 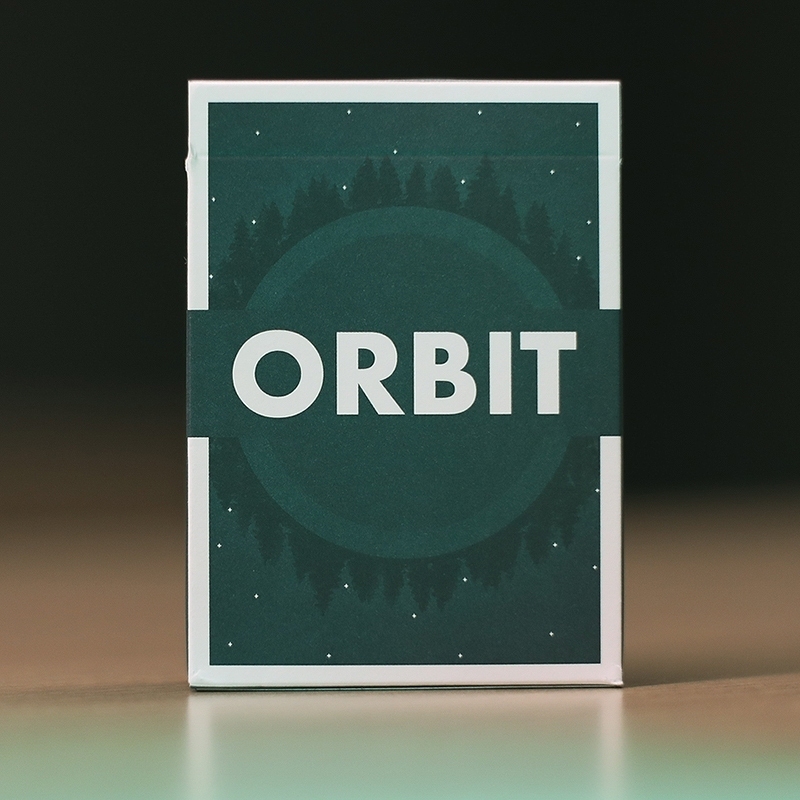 One of our rules is, we don't create a new Orbit deck unless it's going to be our new favorite. If you're counting V1-V5, we have sold out of approximately 60 thousand Orbit decks in total since the release of the V1s back in 2015. They are found in every country across the planet and the demand is only getting higher." - Crushed Premium (Bee) Stock. - Made from sustainable Forest paper with a vegetable based ink and a starch based laminate, making these cards edible. - Traditionally cut. - Made on the Web Press. - Matte Tuck with interior design. - One way design. - Double backer. - Duplicate 8 of spades. - Duplicate jokers. - Retro Arrco pip package. - 23,000 printed / Never to be reprinted again. • The cards are poker size. Αυτό το προϊόν προστέθηκε στον κατάλογό μας την Wednesday 12 December, 2018.